Pendant size: 1 1/4" x 7/8"
Note: Several crosses were cut from the same piece of beautiful china, so the pattern will vary while the colors remain the same. Cross Necklace. Broken China. Vintage Floral Rose. 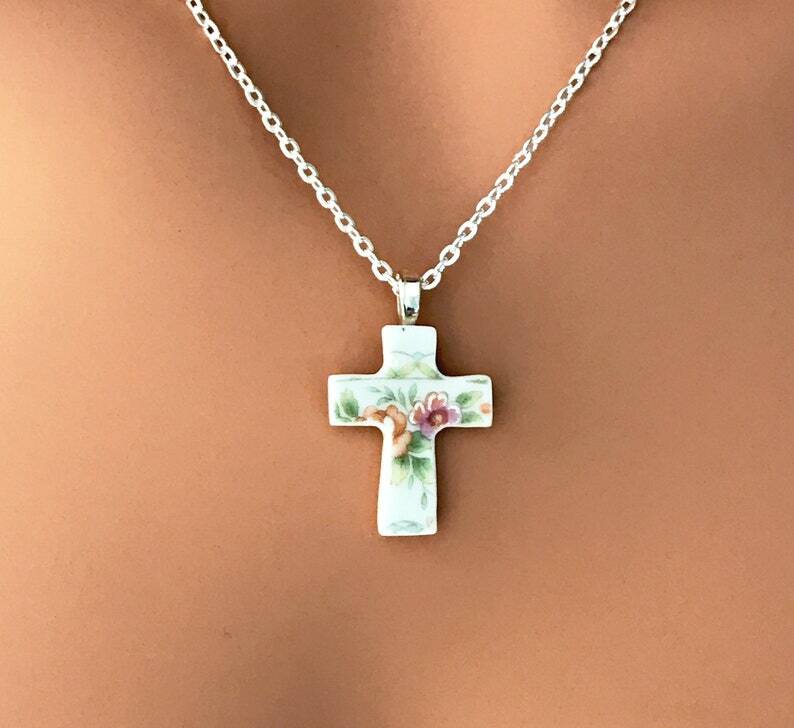 Unique Christian Jewelry. Jewelry Gift for Her. Fine Rolo Chain. Gift Box. Gift Under 20. Cross Necklace. Broken China. Blue Floral Jewelry. Unique Christian Jewelry. Jewelry Gift for Her. Fine Rolo Chain. Gift Box. Gift Under 20.